This post is sponsored by Flipp App. 1. Teach Our Children to Love the Earth – the biggest gift we can give to our children is the ability to love and respect the natural environment. Let your children help you recycle. Give them a small section of the garden to care for. 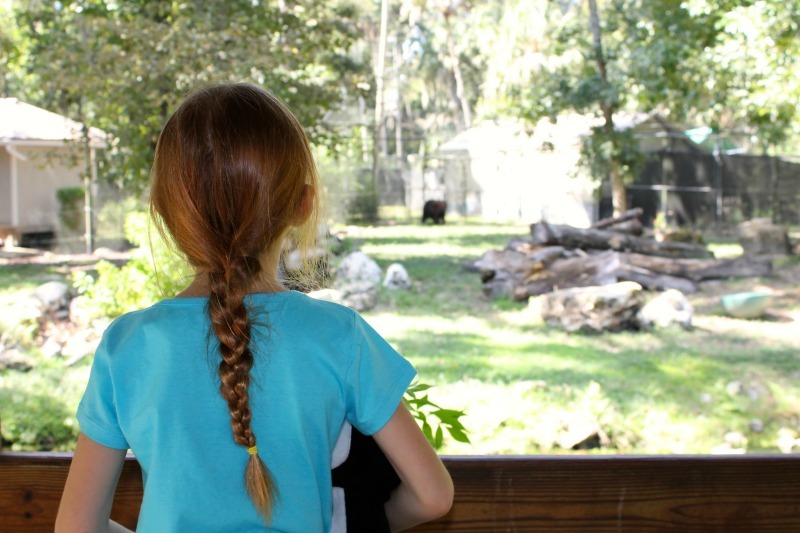 Teach our children that the future of this planet depends on how well we care for it. 2. Buy Less – What items have you purchased recently that you could have lived without? That new purse? That new Lilly Pulitzer outfit from Target? That extra cloth diaper in the newest print? Think before you shop and make sure what you are buying is something that you need. 3. Shop Smart – Buy in bulk to avoid excess waste. Look for products that are packaged in minimal waste. That box of cereal really doesn’t need the plastic bag AND the cardboard box to keep the food safe. You can use the new (free) Flipp app on your iPhone or Android to shop weekly ads without having to get the newspaper for circulars. The app lists over 400 different retailers and their weekly flyers. I used it this week to shop at WalMart, Walgreens and Home Depot. You can clip coupons and save them on your phone to help reduce waste. 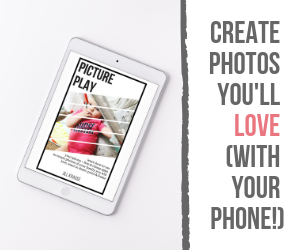 You can download the Flipp app from their website or in your app store. 4. Bring Your Bags – There is no excuse for me to ever use plastic shopping bags again. I get new reusable shopping bags at almost every event that I go to. My daughter gets them at Girl Scouts, my husband brings them home from work functions, and you can always buy them at the store if you forget yours. I got out of the habit of packing my bags for a while and it wasn’t until our pantry was filled with plastic bags that I was reminded just how wasteful plastic bags really are. Now I keep a large bag of reusable bags in the trunk of my car so I’ll never forget. Make it a habit and have your kids be in charge of making sure they end up back in the car. 5. Donate, Share, or Sell – Next time you’re cleaning your closet or your kids room, pick up a few items that aren’t getting loved and find a new home for them. Donate them to an organization who can give them to families in need. Share them with a friend. Sell them at a yard sale, thrift shop, or online. 6. Ditch the Paper Towels – This one is a hard habit for some of us to break. It’s so much easier to just toss that nasty paper towel after cleaning up your mess. I finally have enough reusable towels, wash cloths and People Towels that I have plenty to use once and wash. I keep a small wet bag in my kitchen to store the dirty towels until it’s time to do laundry again. 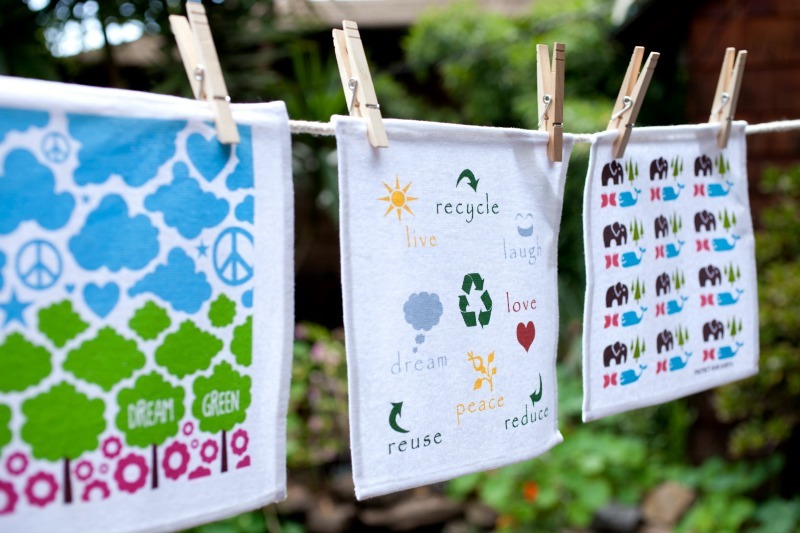 You could even make your own cloth towels from old tshirts that are worn out or don’t fit. 7. Pack Waste-Free Meals – If you have to pack lunches or snacks for your kids (or yourself and your spouse), skip the disposable zipper bags and find containers that can be reused over and over again. 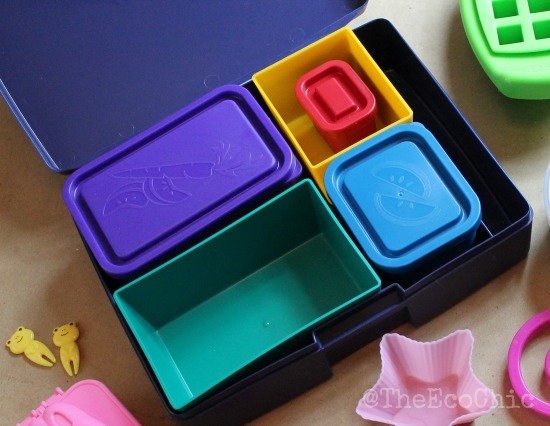 Packing a waste-free lunch looks a lot more fun and your kids will be the envy of their classmates. Don’t forget the reusable utensils and a cloth napkin too. 8. Reduce Your Food Waste – Did you know that the average person wastes about 240 pounds of food each year? My kids are the WORST food wasters I know. They will have me make them a snack and I’ll find it sitting on the table hours later. Combined with all the leftovers that never get eaten, I’m pretty sure my family could work a little harder at this one. 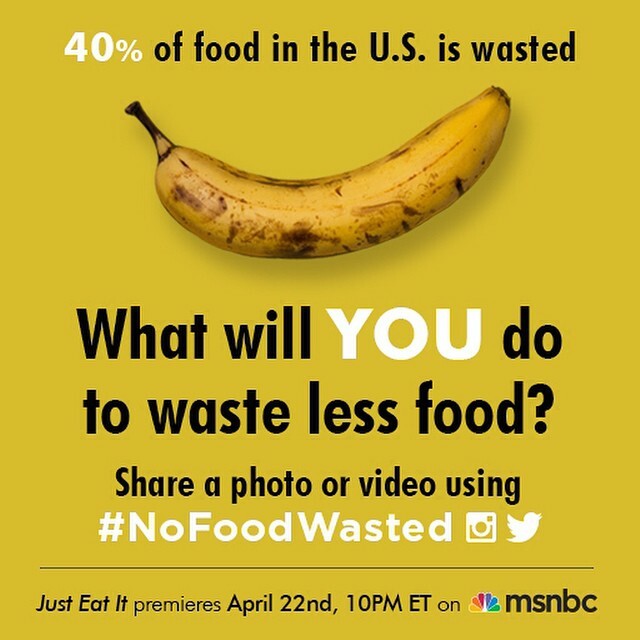 Join Green is Universal on Monday night (4/20) at 9pm ET for the #NoFoodWasted Twitter Party to learn more tips and tricks to reduce your families food waste. 9. Ditch Disposable Feminine Care – If you are a menstruating female, you know that tampons and pad can fill up the trash can for one week each month. 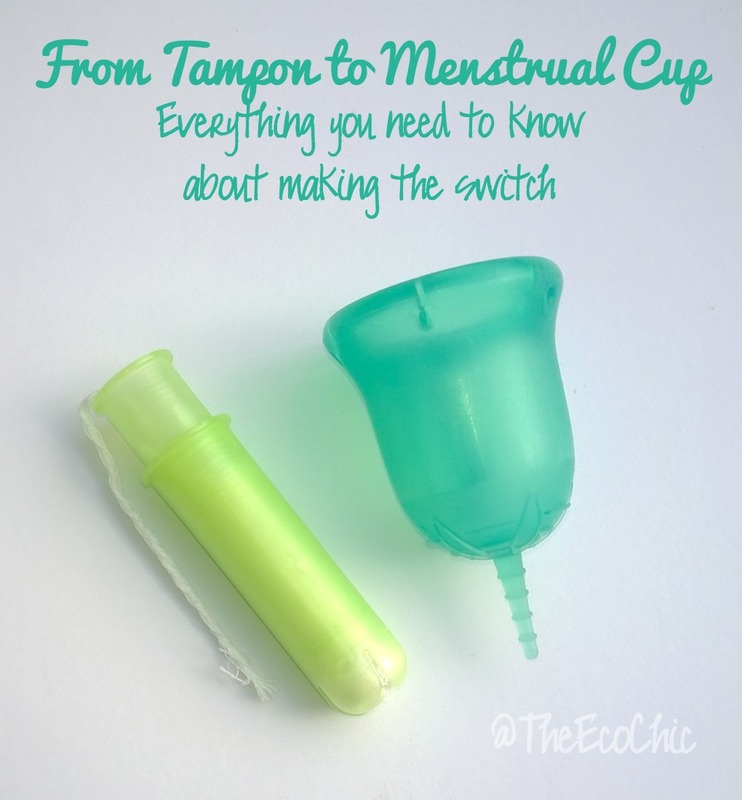 You could go through around 20-25 tampons and pads (or more) on your menstrual cycle. Tampons and pads are disposable and will end up sitting in a landfill (yes, even those “flushable” tampons end up in the landfill) and will never decompose. Did you know that there are reusable options that are very sanitary and easy to use? Reusable menstrual cups (like the Diva or Sckoon Cup) and reusable cloth pads are gaining popularity. 10. Ditch Disposable Diapers – If you have a baby, you know that they pee and poop a LOT! Disposable diapers are filled with nasty toxic chemicals, they are expensive, and they are terrible for the environment. It may take over 500 years for a disposable diaper to break down in a landfill. Cloth diapers have made a big comeback with a more modern look. No more pins and plastic pants, cloth diapers are adorable and fun!! 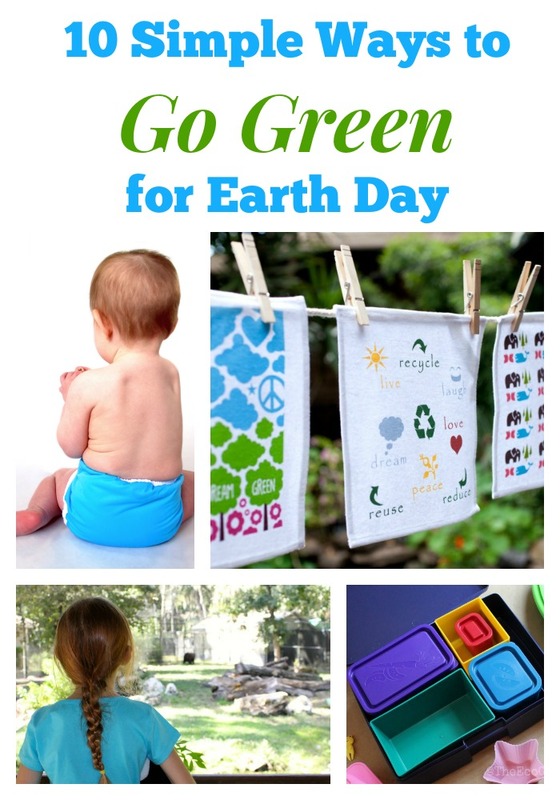 What simple ways does your family take to go green each day? What one way could you do a little more in the coming months? I’d love to hear your comments below. Disclosure: This post is sponsored by Flipp App and does contain affiliate links. Lora recently posted..It’s Britney Yogis! Reusable feminine care products? That is definitely something I have never heard of!